Recently, I gave a webinar on publishing a scientific manuscript for the American Medical Writers Association (AMWA). [An archived version of the webinar is located AMWA On Demand Webinars.] In the webinar, I reviewed topics including selecting a compatible journal, online resources for literature searches, and writing strategy. Professional medical communicators (writers, editors, or developers) are skilled at clearly communicating science. Since they are intimately familiar with style guides, reporting requirements, and proper English usage, professional writers can efficiently process your scientific data into a coherent document. Image taken by Amanda Mills, courtesy of the Centers for Disease Control and Prevention. Efficiency – The writer specializes in creating documents that are logically organized, readable, and scientifically thorough. 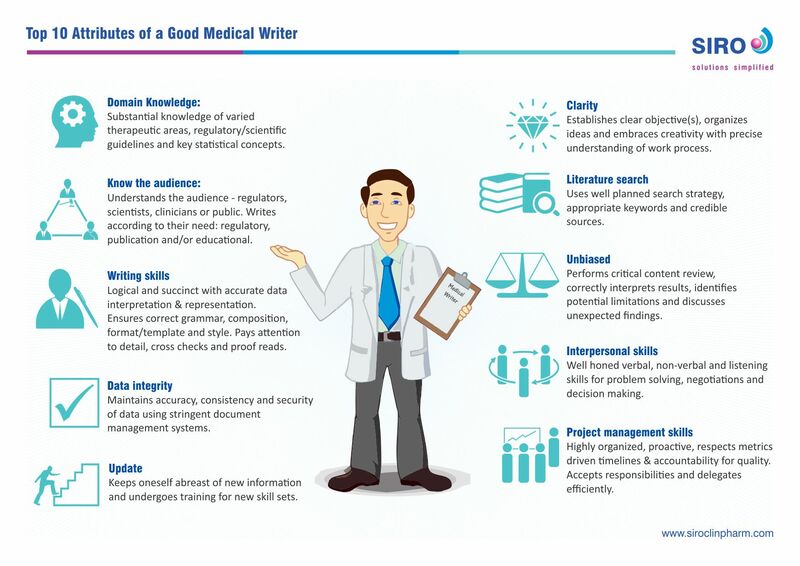 A professional medical writer can complete the job in a shorter amount of time than someone who does not write for a living. Eye for detail – The writer will take care of endless details that most authors are unaware of but publishers and regulatory bodies take seriously. Adherence to guidelines and requirements – The writer will seamlessly implement any formatting or content requirements in your document, which will go a long way to facilitate the publication or approval process. Want data to back up these claims? A survey of journal editors showed that “poorly written, excessive jargon” topped the list of problems seen in manuscripts, with most editors reporting that it happens “frequently.” This was followed closely by “inadequate or inappropriate presentation” as the second most common problem. From Byrne DW. Publishing Your Medical Research Papers. 1998. “When professional medical writers help authors prepare manuscripts, these manuscripts are less likely to be retracted for misconduct, are more compliant with best-practice reporting guidelines, and are accepted more quickly for publication. From Wolley KL, et al. “Poor compliance with reporting research results.” Curr Med Res Opin, 2012. I love to read and learn. Nothing satisfies me more than a new-to-me book that is well written and provides tons of useful information. (I’m still a sucker for the paper version!) I’ve compiled a list of books that I would recommend to anyone, loosely organized into several categories. Please leave your suggestions to add to any of these categories. On a tip from a fellow freelance medical writer, I recently enrolled in small business workshops through the SCORE organization. SCORE is a non-profit affiliate of the US Small Business Administration. SCORE offers low-cost workshops (online and in person), free mentoring, and small business tools on its website. The folks in my workshops ranged from already in business for 10+ years to pondering some unknown future small business. A woman in the food industry found out how much start-up money a bank would require her to have before approving a loan. Two psychologists in a private practice realized the benefit of having a social media presence. A dog daycare determined the best legal entity for the business. Critical information was also provided to other attendees in professional services, construction, and retail. Workshop topics covered business plans, marketing, sales, financing, and accounting, to name a few. If you ever need a crash course in starting and running a small business, SCORE workshops should be on your list. Attendees all walk away with handy resource packets and some great contacts for future mentoring.